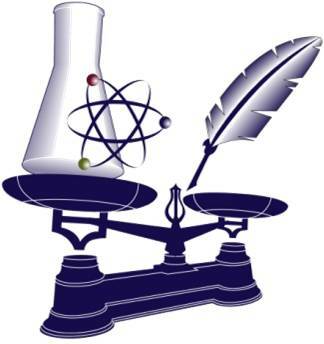 Science is a system of knowledge based on repeatable observation and experimentation to test different hypothesis. Technology is the application of the knowledge acquired by science to practical aims of human endeavors. Both science and technology are often interconnected. Scientific accomplishments help facilitate our daily lives, since we have evolved as rational humans. For example, the military, all businesses in general, and even the common citizen have always been interested in the advantages that scientific and technological accomplishments can bring to our homes and even to protect our countries (in the case of military research). It is common knowledge that most scientific work is funded by different federal agencies such as The National Institutes of Health (NIH), The National Science Foundation (NSF), The Department of Energy (DOE) and several others in the United States (taking the United States as an example). Liberation of human potential is something we should seek and it implies certain confidence about our nature and the value of just what the human potential is. Plato, the Greek philosopher, mathematician and student of Socrates, believed that we are human to the extent that we are rational, can think, analyze and take conclusions based on the observations of the world around us. Liberal education (geared toward leadership) and vocational training (geared towards career development) have guided curricula away from the chancy investment in someone’s possible leadership potential and toward the less speculative trainability of a person to fill a slot in the scientific culture to become a scientist. I believe that in a “healthy” society, leadership involves confrontation with the perpetual mystery of the future in concert with single-minded exploration of alternatives for adaptive change. But tragically, we are usually asked to choose and specialize prematurely in our careers; if relevance of education is equated with the ability to satisfy basic human needs; in other words, if we wish a goal-directed focus and direct engagement of practical problems, a world–vocational training is the obvious choice. If we wish to engage broad social, intellectual, or ethical problems and if we want to help provide our culture in society with the enlarged spectrum of alternatives provided by open discovery in science and technology, then liberal education is indeed the obvious choice. Alienation from either science or technology is very unhealthy for a society. The United States, for example, have been though “the atomic age” with the development of the atomic bomb, the “telecom” age with fundamental advancements in telecommunications and technology, the “space age” with the man landing in the moon in the 1960’s and nowadays we are in the “medicine and health care age” with the advances in technologies such as genomics and personalized medicine. The world is changing with globalization and faster information flow, but science and technology are still behind in transforming discoveries in products or solutions to daily problems for common citizens (specially in medicine with the development of new drugs for diseases), mainly because of the increasing lack of funding by the federal agencies lately and less career driven education for students that have great potential to become extraordinary scientists. We desperately need changes in the educational system in the United States for kids with intellectual potential and interest in becoming scientists to develop new technologies and discover cures for diseases, because in the end, science and technology are the moving gear of our society. You are currently browsing the Genomic Enterprise Blog blog archives for December, 2012.